Kurt Vlasich Introduced as SBVC Travel Team Adviser! We are very excited to announce a very powerful addition to the SBVC management and coaching staff! This “team” will greatly enhance our ability to deliver on our mission: to create the best platform for developing young athletes through volleyball both on the court and off. Giving them valuable life skills they will utilize long after their SBVC career. Kurt Vlasich joined SBVC last month in a newly created role as Travel Team Adviser and will be responsible for all aspects of the upcoming travel season. He will start with summer camps and clinics and will move onto upcoming tryouts, coaching staff, team selections, practice agenda and position specific skills development. Kurt has been busy meeting all of our coaches and working closely with existing management as well as our Youth Directors to get up to speed on our unique club and community. We couldn't be happier with his initial feedback, ideas and the terrific response from all of our existing team of Board of Directors, management and coaches. Here you can find a copy of Kurt’s resume, but we thought we should highlight a few details so you can share our enthusiasm for what lies ahead this season. Kurt is a huge asset to our club as he has been coaching both college and club for over twenty years. He has a unique skill set encompassing coaching from age 11 through college. For those twenty years he has been both actively recruiting athletes for his program as well as marketing his club athletes to the most elite college programs in the nation. He is currently the head coach for Claremont Mudd Scripps, a Division III private University in Southern California. Prior to that he was the assistant head coach for the program for ten years. In 2011 when Kurt became head coach he progressed the program to 5 straight NCAA tournament appearances, five AVCA top 25 rankings and last year the Athenas won the 2017 DIII National Championship. Kurt has been named NCAA West region Coach of the Year and sits on the NCAA Head Coaches Committee. As prolific as his college credentials are, his club experience is what we are so excited about! Kurt is a founding member of the largest club in the SCVA, Forza1. Kurt has coached club volleyball for 22 years across age all the age groups from 11-18. He has 12 trips to the Junior Nationals, most of which were in the Open division. His teams have earned 7 medals and a National Championship at the 14-age bracket. This breadth of experience across all age groups gives him the unique perspective to help us execute on our mission. 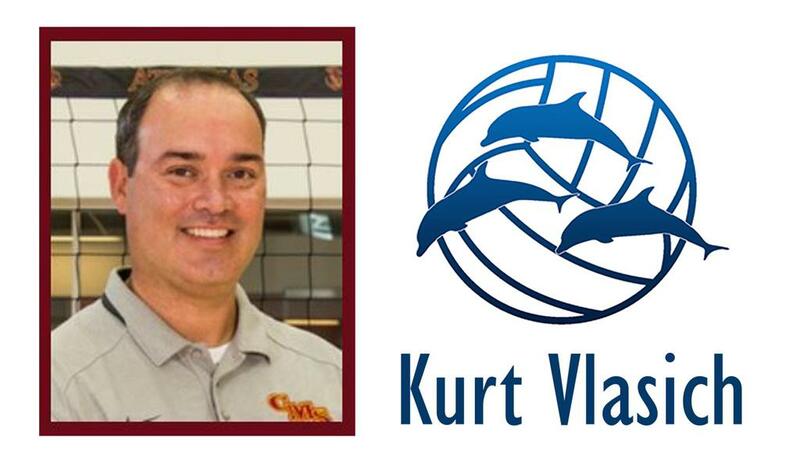 While his credentials are unrivaled, what has created this opportunity is Kurt’s shared belief in the self-esteem and positive life skills that club volleyball engenders. His coaching philosophy is based on trust and positive mental attitude and this belief has only grown as his young children have begun their own journey in athletics. Kurt’s Assistant Coach at CMS, Morgan Coberly, will be working alongside Kurt. He also has a twenty- year track record of National Championship success at the club level across all age groups. He has created cutting edge training systems and has a reputation of developing some of the top setters in the country. These two have worked together for several years and create an unrivaled leadership team for SBVC. With Kurt’s background and experience and Morgan’s expertise and volleyball mind we will see them both here regularly guiding our players in a new club experience. In the coming days, you will receive a direct email from Kurt and we hope to introduce him to the community in person with a series of clinics as well as a family meet and greet. Please check the website for any updates and stay tuned for upcoming events for your daughter! We look forward to a great 2019 campaign.